This sale is four days long, but we recommend coming on the first day if you want the best selection. The sale is primarily on in-stock products, so being there first will give you the biggest selection. However, we will be having other deals that are less time-sensitive (such as new hot tubs and chemicals), which you can read about below. 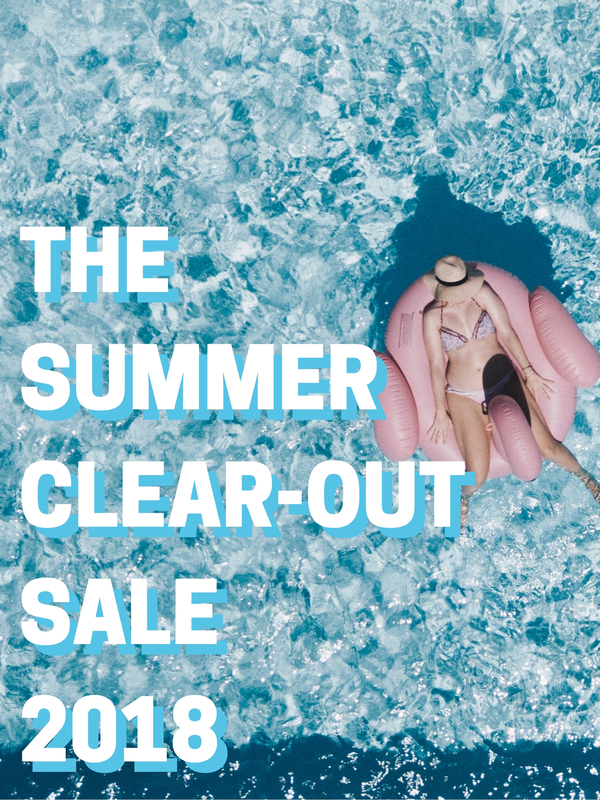 This is your chance to stock up on pool and hot tub chemicals! On Thursday, Friday, and Saturday from 4-6pm, we will be offering 30% off all chemicals. Chemicals very rarely go on sale, so this is the opportunity of the season! There will be FUN involved! What’s a sale without some fun activities? Every showroom will have a s’mores station at one of our Tropitone fire tables, beverages for all ages, and door prizes (including a Carson Wentz jersey)! Our West Fargo showroom will even have a bouncy house. Talk about a party! If this is the deal you’re hoping to get, we suggest coming early! We are capping this incredible deal at the first five purchased across all five of our locations… Better hurry in for this one! 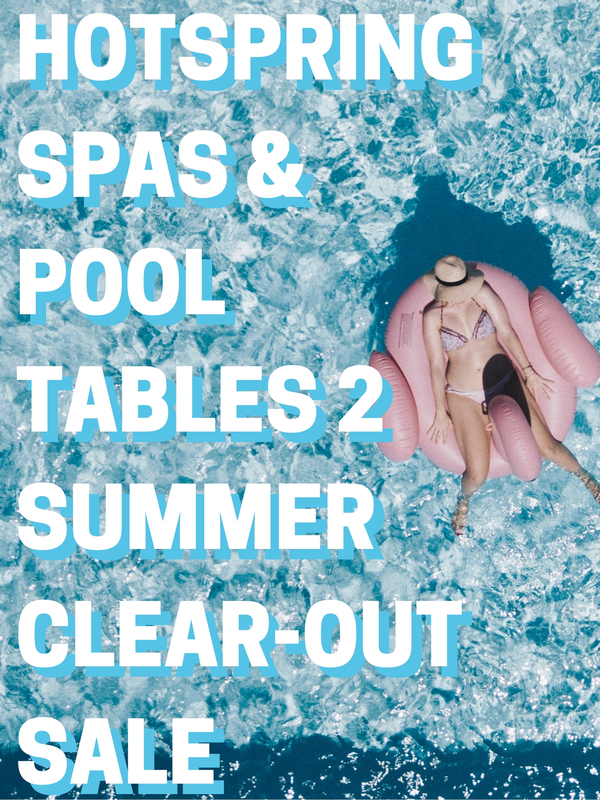 Our in-stock pools and patio furniture will be at the absolute lowest prices of the season! Buying these products “out of season” might seem like a hassle, but it will save you big bucks. Many of our the hot tubs on our showroom floors will be marked down significantly. If you see a model and color you like on the floor, make sure to ask our Sales Pros if there’s a special deal on it! Looking at getting a brand NEW tub? You can get a brand new, customized tub for a great deal with our instant rebate off the purchase price. We will be offering a $500 instant rebate on all new Limelight hot tub models and a $1000 instant rebate on all new Highlife and Highlife NXT models! …and they’re all on sale! Browse our pre-owned selection at each showroom location during the sale and score a deal! On Friday and Saturday, a Sales Pro at each location will be hosting Spa School at 6pm. This is serves as both a refresher course for current hot tub owners and a crash course for new hot tub owners! It’s free, informative, and will help you best utilize your hot tub! Covanas are a game-changer when it comes to hot tubs! We have 5 Covanas available that will be a whopping 50% off for any customers who have previously purchased a hot tub from us, or any new customers that purchase a hot tub during the sale. We have 3 in the color “slate” and 2 in the color “mocha”. Hurry in if this is the deal you have your eye on! The bottomline is that if you’ve had your eye on any of our products, now’s the time to move! See you this weekend!